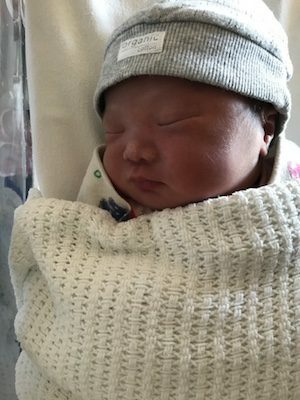 You are here: Home / Testimonials / I strongly believe I could not have birthed my daughter naturally without the use of hypnobirthing! My pre-labour started after my 38 weeks appointment at the obs and was told I was 2cm dilated. I was experiencing mild surges that night and I was getting excited as it was finally happening. 2 days later, the surges were on and off and I was still in pre-labour stage. Soon I experienced a ‘bloody show’. I contacted the labour ward and they said everything was heading in the right direction. They asked me to come in when my surges were 6min apart. Finally, on Anzac Day night, surges were 5-6min apart. Husband and I made our way to the hospital. Upon arrival, I was examined and they checked Bub’s heartbeat. Only to find out that I was only still 2cm dilated! After examinations by midwives and contacting my Obs, it was advised that I stay the night and be induced the following morning. Being induced was not my birthing preference (due to a higher chance of having a c-section delivery), however, I agreed and remembered from hypnobirthing to calmly meet whatever turn my birthing take. Next morning, I was induced at 9:30 am with my water broken by my Obs. 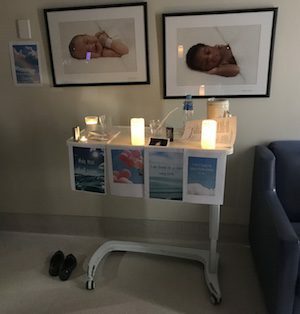 My labour room was lit with LED candles, affirmations were placed around the room, hypnobirthing tracks were playing softly in the background, husband doing light touch massage and we placed the hypnobirthing sign at the door. The atmosphere was calm and peaceful and it enabled me to breathe through my surges and remained relaxed. Soon my surges were getting stronger and were a 2-3 minute apart. I had a sudden need to go to the bathroom and as soon as I came out, I told my midwife I have the urge to push. She examined me and I was only 4cm dilated. Feeling slightly defeated, I carried on. Within the next 5 or so minute, I told her again I felt the need to push and that urge was getting stronger. Surges were also stronger, my lower back started to ache and my breathing pattern changed. At that moment, I really wanted medication to ease the sensation. The midwife checked again and this time I was 8cm dilated. Then my husband whispered in my ear and said I was in the transition stage!! I was surprised how quickly I went from 4cm to 8cm all within 5 or so minutes! At this point, I was umm-ing and ahh-ing about pain relief. Then both my husband and midwife reminded me the effort I’ve put into my hypnobirthing and how far I’ve come, with their encouragement I continued on and focused to remain calm, relaxed and breathed through each surge. Soon my midwife contacted my obs and I was finally able and given the ok to push. At this point, the surges were strong and I felt my uterus pushing the baby down. I worked with my body and breathed/bear down my baby. My Obs arrived within the next 15min and I was relieved. After more pushing, I soon felt the crowning of baby’s head and I knew I was getting close. Not long later, I remembered my Obs saying to me “give me 1 more push and your baby will be born”. So I did! 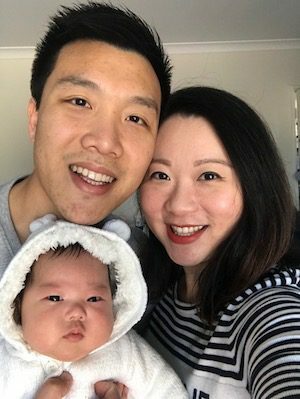 In the wake of a loud screeching cry, our little princess, Jaydee safely arrived into the world at 1:28 pm weighing 3.1kg on 26th April (38 weeks + 6 days). The first thing my husband said to me was “hun, you did it! You’ve given birth to our daughter drug free!!”. To my and Obs surprise, active labour was 4 hours! No words could describe the joy and excitement I felt the moment I heard her very first cry, saw her the very first time and the warmth I felt when I held her for the very first time. And to birth my daughter with no use of medication or epidural is beyond my expectation and I will always look back at this experience with so much pride. I strongly believe I could not have birthed my daughter naturally without the use of hypnobirthing. I am so very grateful for all the tools and techniques that were taught. I can fondly say the birthing of my little princess was a beautiful, calm and positive experience! Thank you, Melissa, at Hypnobirthing Australia and Pip Wynn Owen for the support during my pregnancy!